Scott Adkins is an English martial artist and actor best known for his roles in hit films like The Expendables 2, Undisputed II: Last Man Standing and its sequel Undisputed III: Redemption. Born on June 17, 1976, the actor first became interested in martial arts at a very young age after visiting a local judo club. Later he adopted Bruce Lee as his idol and began practicing different martial arts such as Taekwondo, Judo, Jujutsu, Gymnastics, Kickboxing and Karate. Scott first got his breakthrough in the acting with a role in Hong Kong martial arts film Extreme Challenge. After this, he gained initial fame through his performances in various television shows like Doctors, EastEnders, Mile High and Holby City. The actor successfully transferred his Television success into film industry and broke into mainstream through his role as Yuri Boyka in the 2006 movie Undisputed II: Last Man Standing. This was followed by his guest appearances in movies like The Bourne Ultimatum, X-Men Origins: Wolverine and The Tournament before once again earning huge success with the 2010 hit Undisputed III: Redemption. After that, the actor continues to land roles in notable films some of which are The Expendables 2, The Legend of Hercules, El Gringo and Boyka: Undisputed. 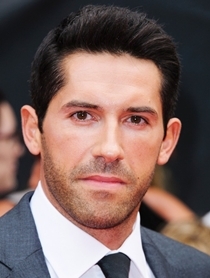 As for his personal life, Scott Adkins is married to Lisa Adkins and has a daughter with her named, Carmel Adkins. Following are the complete actor Scott Adkins body measurements details including his weight, height, chest, waist, biceps, abs and shoe size. Scott Adkins considers Jean Claude Van Damme, Jackie Chan and Bruce as his fitness idols. The actor first developed interest in martial arts after visiting a judo club at the age of just ten. He is trained in several martial arts including gymnastics, Jujutsu, Kickboxing, Taekwondo, Karate, Judo, Wushu, Capoeira and Ninjutsu.